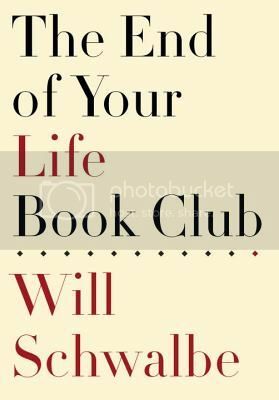 We will be discussing The End of Your Life Book Club on Tuesday, November 13th. If you would like to be entered to win one of our ten copies (US mailing addresses only, please), please fill out the form below by 11:59 am Eastern on Thursday, October 18th. Your address WILL be required to win (but will not be used by us for anything but getting your book to you) because we want to get these books to you with quick turn around. 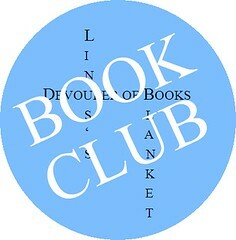 Welcome to BOOK CLUB, which I run with co-conspirator Nicole from Linus’s Blanket. 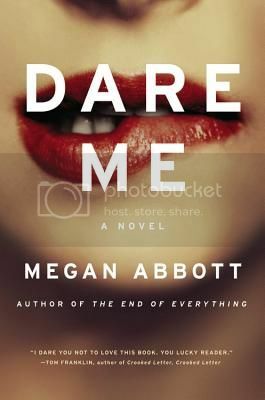 Today we will be chatting about Dare Me by Megan Abbott which was released July 31st by Reagan Arthur Books. For those of you reading this post, please remember that this discussion is likely to contain spoilers. If you plan on participating in today’s BOOK CLUB, please consider subscribing to comments at the bottom of the page (please use the TOP subscription option). I will be updating this post with new questions and ideas over the course of the day. What did you think of Coach and her relationship with the girls? Why do you think she acted the way she did? What did you think about the dynamic between Beth and Addy? Did you expect the revelation at the end about their relationship? Beth Cassidy was captain of the cheer squad, queen bee, and Addy Hanlon’s best friend. Everything changes for the girls when their old cheer coach leaves and a new, younger, more competitive woman takes over the position. When Coach Collette French removes Beth from her position as captain, the two are set at odds, even more so once Addy falls under the coach’s sway. All is not well in Coach French’s life, though. There is definitely something not right between the coach and her husband and before long Collette and Addy are drawn into an investigation of the alleged suicide of the coach’s lover. Now Addy needs to figure out whether the suicide is really what it seems, or whether she’s gotten into something she never expected to be a part of. Abbott is gifted at creating realistic and life-like characters and situations. I spent much of Dare Me feeling disgust and fury at Coach French and the way she interacted with the girls. She had a completely inappropriate relationship with them, but given the circumstances it did not seem completely unrealistic. Once my annoyance with the coach subsided somewhat, I realized that for me to have been that bothered by Collette’s actions meant that Abbott created in Dare Me a world that I believed completely and had invested in to some extent. While this is not my favorite of the three of Abbott’s books I have read – that distinction probably goes to the only one I haven’t reviewed, Bury Me Deep, she does continue to be very successful in engaging me in the worlds she creates, which means I have every intention of continuing to read her. It is that time again! We are gearing up for next month’s discussion of Dare Me by Megan Abbott (Tuesday, August 7th right here), but it is also time to give away the next BOOK CLUB selection. In September we will be reading an offering from Mulholland Books, Breed by Chase Novak. 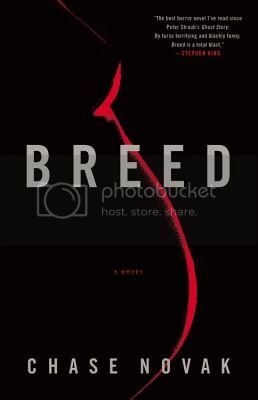 We will be discussing Breed on Nicole’s blog on Tuesday, September 4th. Alex and Leslie Twisden lead charmed lives-fabulous jobs, a luxurious town house on Manhattan’s Upper East Side, a passionate marriage. What they don’t have is a child, and as they try one infertility treatment after the next, yearning turns into obsession. As a last-ditch attempt to make their dream of parenthood come true, Alex and Leslie travel deep into Slovenia, where they submit to a painful and terrifying procedure that finally gives them what they so fervently desire . . . but with awful consequences. Ten years later, cosseted and adored but living in a house of secrets, the twins Adam and Alice find themselves locked into their rooms every night, with sounds coming from their parents’ bedroom getting progressively louder, more violent, and more disturbing. If you would like to be considered as a participant for August, please fill out the form below by noon, Eastern on Tuesday, June 26th. Your mailing address will be discarded if you aren’t selected to participate and used to mail you the book if you are. I do not share or retain any personal information. Only those selected will be contacted by email.